Historic architecture, Caribbean heritage, Hasidic enclave, gentrification target. Pieces of Crown Heights--the larger district of Crown Heights North and the smaller Lubavitcher Hasidic district--can be visited as an extension of the Brooklyn 101 tour, or an extension of the Bedford-Stuyvesant tour. Crown Heights also can be visited on its own, part of a full 2.5-hour tour. Once an upper middle-class district in parts, and later far more rundown, Crown Heights has gone through a notable, if hardly uniform or uncontroversial, revival (see New York Times article) in the past several years, including an extensive new historic district. ​It's at the heart of some recent gentrification debates, such as in the series from WNYC/The Nation called "There Goes the Neighborhood." 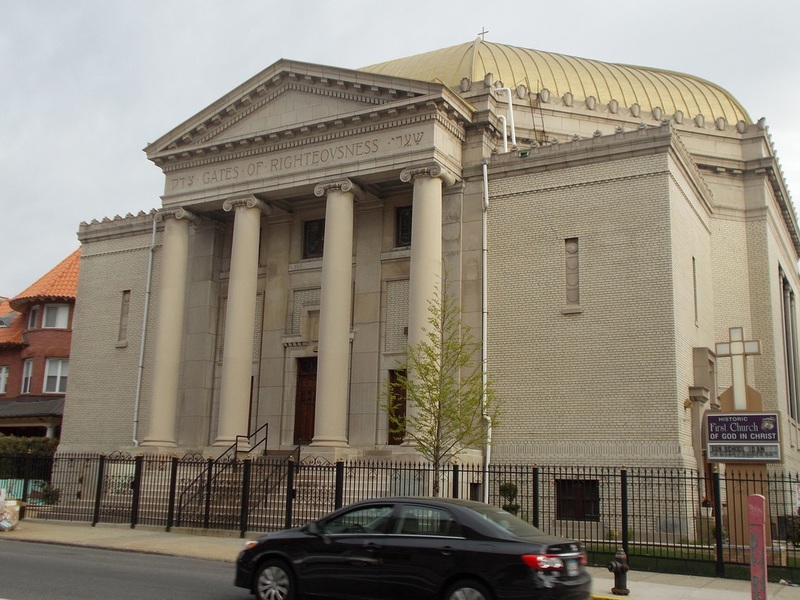 Crown Heights has numerous churches, some converted from elaborate theaters, one converted from a synagogue. And it contains not one but two children's museums: the Brooklyn Children's Museum, the first such museum in the country, and the Brooklyn Jewish Children's Museum. A walk through Crown Heights offers many options. If we visit as an extension of the Brooklyn 101 tour, we can focus on the Hasidic enclave in Crown Heights South (described further here) then, if time, extend well beyond that area. If we visit as an extension of the Bedford-Stuyvesant tour, we'll start in Crown Heights North, the area with the most spectacular architecture. We'll see the remnants of Brooklyn's old automobile row and the grandeur of Grant Square, a hub for development of major apartment buildings and civic buildings. Crown Heights contains rich African-American and Caribbean-American history. Consider: one house the home to Carlos Lezama, the man behind the West Indian Day Parade, and commemorates his work. But, astonishingly, it also was the home to Shirley Chisholm, the first black woman in Congress.